Kazan Cathedral is the biggest Orthodox church, wonderful example of Russian classicism style, prominent monument of military glory. Inside the cathedral there is the wonder-working copy of the Holy icon Our Lady of Kazan. Kazan Cathedral is one of the most prominent monuments of architecture and fine art, as well as the biggest churches in Saint-Petersburg. 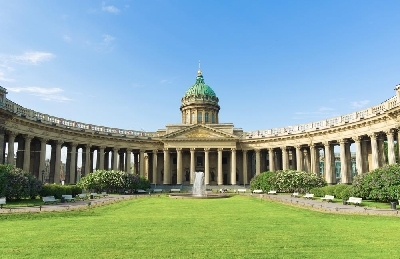 Kazan Cathedral was erected for the wonder-working copy of the Holy icon Our Lady of Kazan, which is one of the main Orthodox shrines of Saint-Petersburg. Other venerable icons in Kazan Cathedral are: the icon of the Savior in iconostasis, icons of Saint Nicholas and Black Madonna of Czestochowa, presented by field marshal M. Kutuzov, Calvary with a granule of the tomb of Jesus, icon of the Resurrection with a granule of the tomb of Jesus. 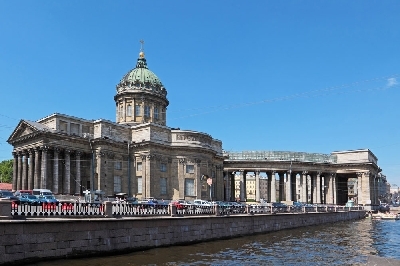 In 1932 in the church there was the Museum of atheism and religion, since 1991 Kazan Cathedral is a functional Orthodox church, and since 2000 – it is the cathedral of Saint-Petersburg eparchy of Russian Orthodox Church. Nowadays divine services take place every day here as well as christenings and wedding ceremonies, church services and services for dead. 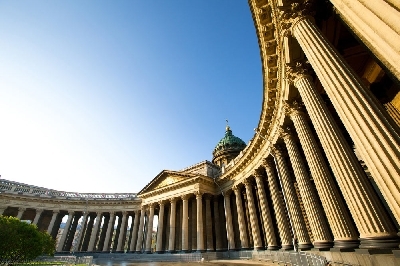 Kazan Cathedral was built in 1801-1811 by the architect A. Voronikhin in classicism style. For his work the architect was awarded with the Fourth class of the Saint Vladimir Order. Kazan cathedral was erected instead of the ramshackle church of the Nativity of the Theotokos. In 1930s the cathedral was robbed and closed in 1932. In 1950-1960s the restoration works were held. In 1991 services were resumed. 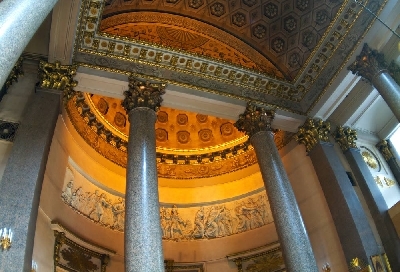 The second consecration of Kazan Cathedral took place in 1998. 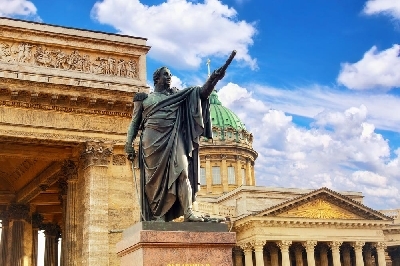 After the Patriotic War of 1812 Kazan Cathedral became the monument of military glory of Russia. There is a grave of renowned field marshal M. Kutuzov, also there are 107 trophy French banners and flags of the regiments, which were crushed, 93 keys of fortresses and cities, which were captured by Russian Army. In front of the cathedral there are two bronze statues of the great Russian military leaders M. Kutuzov and M. Barclay de Tolly, which were designed by B. Orlovsky in 1837.